Just two days after his party ran roughshod over the Democrats in the midterm election, John Boehner the Speaker of the House became the second top Republican to warn President Barack Obama against any unilateral action on immigration. Boehner said that action would poison the well for cooperation with the new Congress that will be controlled by the GOP. The standoff has come after more than a year of unreported talks amongst Boehner and the President over a compromise in Congress to fix the “broken” immigration system. The two started talks following the election in 2012, according to accounts that were provided by a number of aides from both sides. The talks ended this past summer. 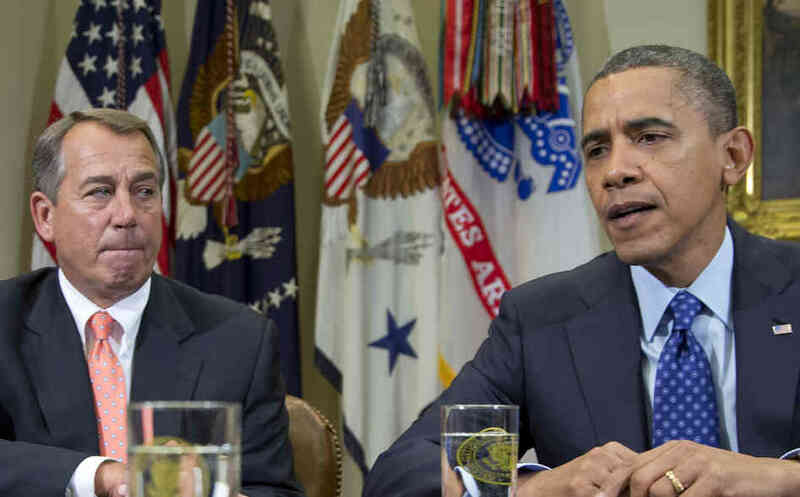 Boehner said Obama could be burned if he were to unilaterally act on immigration. On Wednesday, Senator Mitch McConnell who will take the reins as the new Senate Majority leader in January, made similar statements about Obama. The issue on immigration could cause problems with a rare opportunity to find common ground on business taxes and trade amongst other issues. On Wednesday, Obama vowed to move forward on the immigration issue alone, making the changes people in the know, say could give safe harbor to millions of people who are currently in the U.S. illegally. In the Obama administration, it is not a question of whether the President will act but rather how sweeping the executive order would be. Immigration activists have put him under great pressure not to back down due to the election results or out of avoiding the wrath of the GOP. The Obama administration is not ruling out a deal on immigration with the new Congress prior to the new president taking office in 2017. However, the opinion of many involved is the talks, the ones involving Boehner and the President were the last and best chance of reaching any agreement. Obama on Wednesday promised to rescind an executive action if later the Congress passed legislation on immigration.